The scene at last year’s 12Fest. Photo courtesy of the #Fest Facebook page. 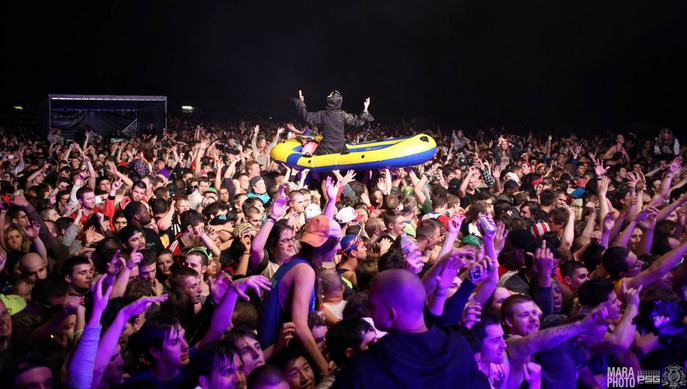 With the announcement of the 13Fest lineup last week, Prime Social Group, the event promoters, made it clear that the hip-hop and EDM are the lifeblood of the #Fest—potentially for years to come. This shift coincides with current music trends that are ever changing. In 2015, college students like to twerk (now an actual word!) to heavy thumping bass and steady hip-hop drumbeats. Ten years ago, Diplo was producing tracks for M.I.A. with little recognition. Now, he’s got his fingerprints all over successful radio hits and is poised to headline the biggest college music festival in the United States. In order to get Ohio University students familiarized (and f*****g hyped), I’ll be doing a weekly preview of the 13Fest artists (from least to most prominent) up until the week of the Fest. For this week, I’ll break down rapper Kembe X and what he has to bring to the table. Pictured: Kembe X. Photo courtesy of Green Room Magazine. Kembe X’ inclusion marks the second straight year that a Chicago-based rapper will perform at #Fest, as Vic Mensa had a set during last year’s fest (and was my personal favorite–just sayin’). 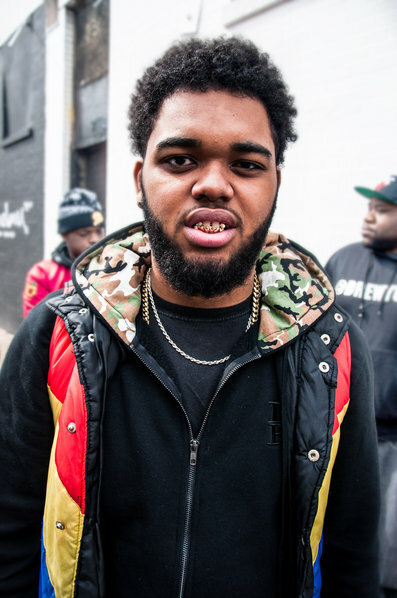 Being from Chi-town, Kembe X has snagged a couple of collabs with Chance the Rapper, helping raise his stock in a city that has seen a hip-hop boom. The track “As I Unfold” stands out as Kembe X’ best effort, boasting an emotional chorus and an impressive feature from Ab-Soul. His strengths revolve around heavy, slowed-down drum loops, which is something that Fest-goers can get down to as a warm-up. While he does not offer anything groundbreaking or unique, his rapping ability is good enough that I’ll give him a shot. Kembe X’s set will most likely be early in the day on April 18th, but if you happen to get there early (almost no one did last year), then I would suggest trapping/twerking/mud-wrestling to his music. Next week, I’ll take a look at trap rapper named Curtis Williams. Until then, give Kembe X a listen and see if you like what he’s puttin’ out.